I don’t know what it is. I don’t know why it is. But in a month’s time, comic book stores will be getting a comic book called Teen Titans Go! To the Movies #1, cover price a dollar, from DC Comics, out on July 18th. It will be timed to coincide with the Teen Titans Go! cartoon movie out on the 26th July in the US and 3rd of August in the UK. Teen Titans Go! 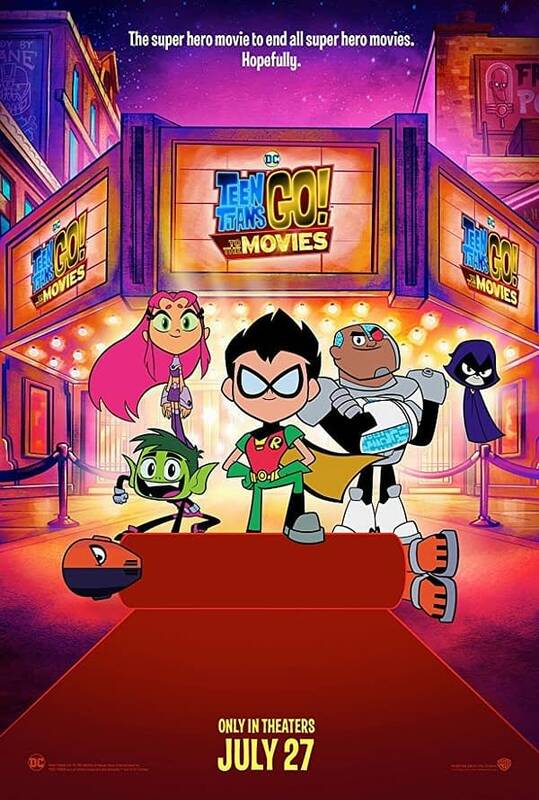 To the Movies is based on the television series Teen Titans Go! and produced by Warner Bros. Animation. It was written by series developers Michael Jelenic and Aaron Horvath, and directed by series producer Peter Rida Michail and Horvath. The event of the movie takes place during the fifth season of Teen Titans Go!. It will be only the second theatrical film to be based on an animated Warner Bros. television series, 25 years after Batman: Mask of the Phantasm. The Teen Titans learn that almost every hero in the DC Universe has their own films, so they search for a director for their movie. But the director, Jade Wilson, later rejects their offer due to the fact the Titans can’t be taken seriously. However, they find a window of opportunity for their own movie by having their own nemesis, in the form of Slade. Greg Cipes as Beast Boy, Scott Menville as Robin, Khary Payton as Cyborg, Tara Strong as Raven, Hynden Walch as Starfire, Will Arnett as Slade, Kristen Bell as Jade Wilson, Nicolas Cage as Superman, Jimmy Kimmel as Batman, Kal-El Cage as a younger Bruce Wayne, Halsey as Wonder Woman, Lil Yachty as Green Lantern, David Kaye as the movie trailer announcer.